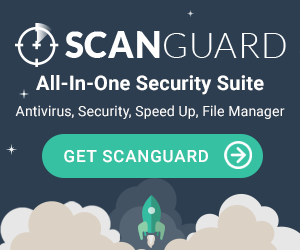 If you’d like to test the AVG antivirus software before buying the full package, you can download a free version of the software. This version includes basic features such as virus, malware, and spyware protection, blocking of unsafe links and email attachments, and routine PC scans. When visiting AVG’s website, you can find the download button on their home page. Simply click on the “Free Download” button to install. There is no 30-day trial offer to test both the AVG TuneUp - Unlimited and the AVG Internet Security - Unlimited together as a suite. However, AVG offers a trial for each individual product. This will give users an opportunity to test out both features and find out if the AVG TuneUp is worth the extra money or if they are satisfied with the AVG Internet Security alone. While it is possible to buy the AVG Internet Security - Unlimited without the AVG TuneUP - Unlimited separately, purchasing both is a better deal. The complete suite is only $30 more than only buying the antivirus software. This will allow you to stay protected and keep your PC running smoothly for an affordable price. Unlike most antivirus software, AVG can be installed in an unlimited number of devices with the same 1 or 2 year subscription. To get the most out of your money, make sure to install AVG across multiple devices. "AVG was not my first choice for an anti-virus software, however I have found it to be the best I have used. The interface is excellent and very accessible. It is easy to navigate between the different services provided (i.e. internet security, firewall, etc.) and the settings are straightforward. I purchased AVG for a year and have since downgraded to the free version, and one of the biggest selling points for AVG in my opinion is what you get for free. I feel that my computer is safe and secure with the free version of AVG. Most of the packages offered with the paid version are more for convenience than anything else. That is something I have struggled to find in other anti-virus software providers. I have no plans of changing my anti-virus software in the near future. In my experience, AVG is the most user-friendly and secure option out there.